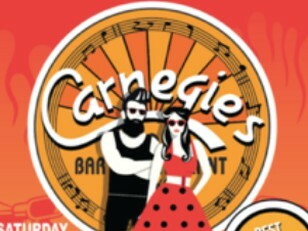 Carnegie's Hong Kong presents their '50's Party'. With live performances by The Sideburns and Live8 with proper full vinyl sets from Dave 'Wobbly' Ross and Steve 52. 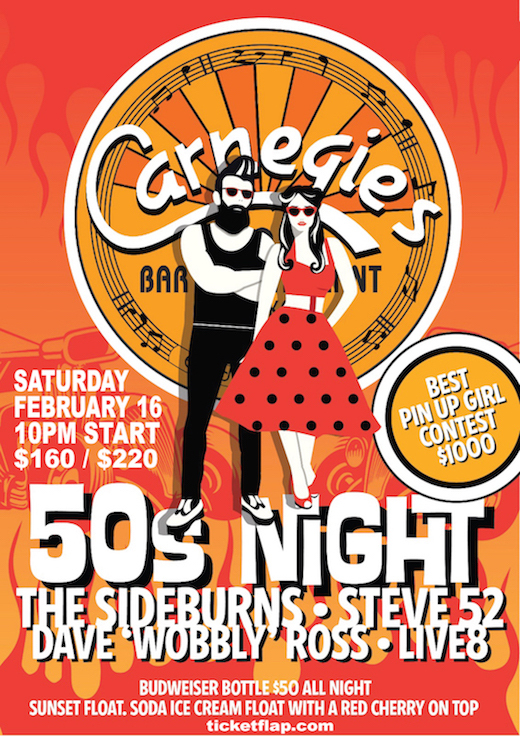 A $1000 pin-up girl contest. $50 budweiser beers all night long. $50 Sunset floats with a cherry on top all night long. Limited number of presale tickets available for $160 including one standard drink. Very limited number of tickets on the night depending on capacity at $200 including one drink.